I was good at school, so the classwork at college came to me pretty easily. The social aspect did not, really, as I wasn’t comfortable yet with who I am. I felt constantly in the shadow of my then-boyfriend. And let me tell you, folks, in the quest of how to find oneself, introducing yourself as anyone’s anything is a bad start. (Lesson learned, much later: You are more than your relationships to others, and if you don’t acknowledge yourself as such, then you can’t expect others to either.) Nonetheless, I learned a lot from my professors (shout outs to Boss and Lamer, above all), and I wrote a lot of solid news articles and editorials. College was where I really honed my basic writing skills and got to embrace my editing skills. I also learned how to coach writers thanks to some incredible coaching by one of my first editors, Abby Simons. She was the first student editor to take me aside and work with me to figure out how to improve an article instead of handing me back a piece of paper with a few red marks on it. I’ve never been fickle when it comes to relationships. My first crush lasted two years, my second another year, and I took great pride in the eighth grade that I managed to hold on the longest to the boyfriend we all passed around — a whopping three months! My next crush after that lasted a good three & a half years. And then I met the guy I would eventually marry after 4 years and divorce after another 4. That relationship defined half of my twenties, and recreating myself after it defined the second half. I cannot bring myself to say I am thankful for that relationship, but I am incredibly thankful for having come out of it who I am today. Learning to stand up for myself and demand respect as well as giving myself the freedom to pursue my own passions and explore my own beliefs was one of the greatest gifts I’ve ever been given. I call that realization my Eowyn Moment. (This was shortly followed by what I now call My Dorothy Experience, but I’ll have to save that story for another time). So, during the second half of my twenties, I became the person I wanted to be with. I started writing like a madwoman, I made travel a priority, and I made pursuing random interests a habit. I took this Oscar Wilde quote to heart: “To love oneself is the beginning of a lifelong romance.” And it just so happens that that led me to meeting the true love of my life. I’ve written about my weight loss experience before, but taking control of my health was maybe the landmark moment of my 20s, to be honest. (It’s funny how I was so mortified by the first picture when now I’m kind of embarrassed of the second one, too.) It was a reflection of learning to love myself and gaining the confidence to present myself to others how I felt on the inside. Finding the strength to do get through those workouts gave me the mental fortitude to do a lot of other things, too. Will Smith actually sums it up pretty well here. By the time I was done, I’d lost about 110 pounds from my highest weight ever, and I’d gone from a size 22 to a size 4. But I think the biggest difference has nothing to do with my size and everything to do with how I carry myself. I was always trying to hide when I was big, and while I’m not exactly a showboat now, I don’t hide from cameras or people. That’s an inner confidence thing. And now I’m pregnant and it’s all RUINED! 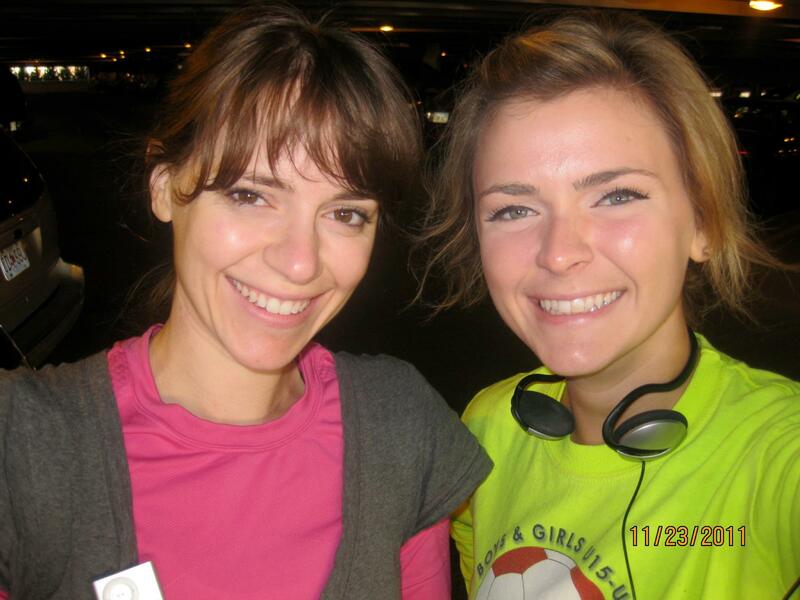 Stubbornly decided to run the entirety of this year’s Thanksgiving 5K, too — at 25 weeks pregnant. 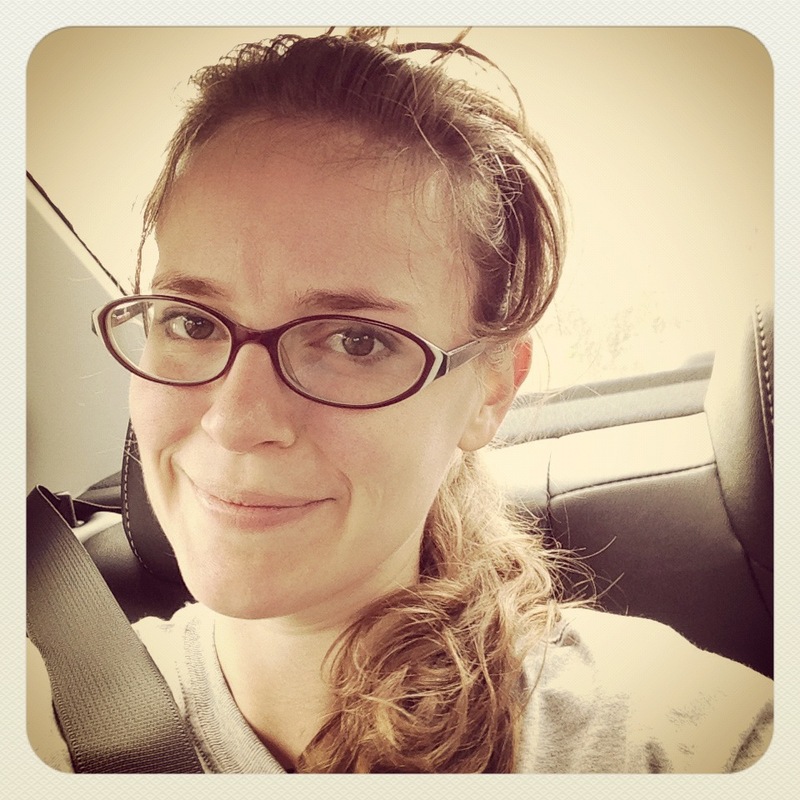 This is my #pregnantwomenwhorun5ksaresmug face. I cannot tell you how much I am looking forward to getting back into my normal fitness routine, but it’s out of joy rather than desperation (most of the time) at the opportunity to lose the baby weight in a healthy way while setting a good example for my son. 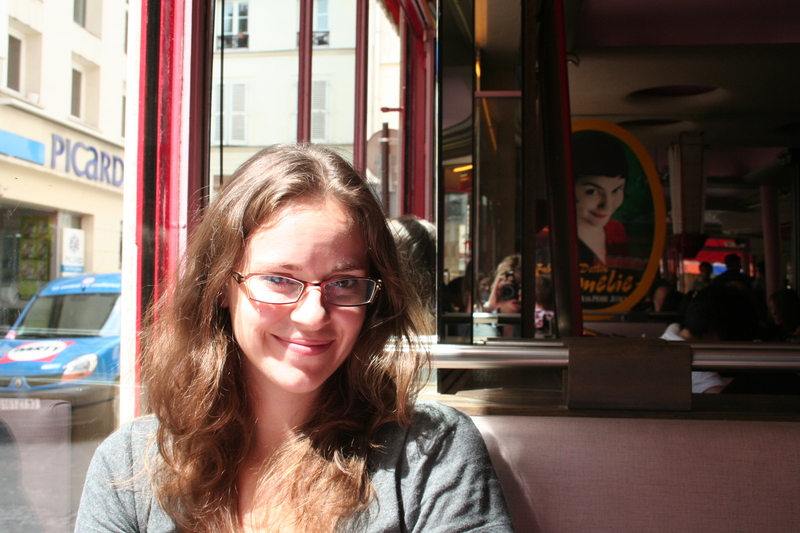 Doing my best Amélie at Le Café de Deux Moulins in Paris. Travel changes a person. It opens up your eyes to different cultures and perspectives. Whether you go near or far, or even play tourist in your own city, I can’t recommend it enough. And I’m incredibly thankful to have gotten to visit the amazing places I have in just the past couple of years, and I’m looking forward to continuing to make travel a priority in my 30s. It was my own version of a student film, and while my inexperience shows, I still think it’s a sweet story. It’s also managed to steadily gain more than 2,000 views in the two years since I first posted it. And while that’s a tiny drop in the very large bucket of the internet, it’s a lot more people than I ever thought would see it when I first screened it for 30 friends and family. Doing that gave me the confidence to try another short film a few years later, which is still in post, but nearing completion. I’m hoping to enter STILL in some festivals, and I’ve already got a few other ideas I’d like to get into production in the next few years. There’s no better way to learn about screenwriting and filmmaking than by doing, so if you’ve been writing for a few years and are desperate to see something of yours come full circle, then pick up a camera, grab some friends, and go make something. Even iPhone cameras take decent video for web these days, so the excuses are getting harder and harder to find. Go create. You won’t be sorry. I could go on and on about why I’m thankful for my 20s (as well as why I’m thankful to be leaving them behind), but I think this is a good enough spattering. There’s no fighting the years coming on, but we can definitely choose how we spend those years. As for me, I’m with Tony Horton.